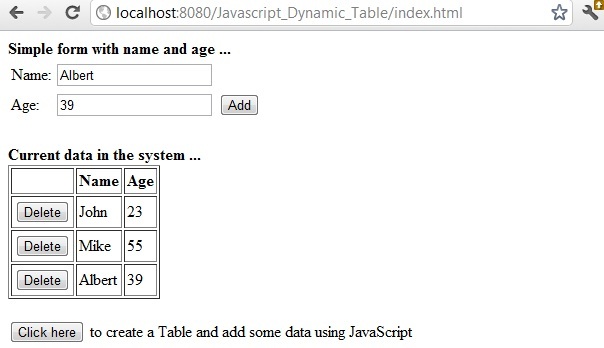 We have created a simple HTML form with name and age input. 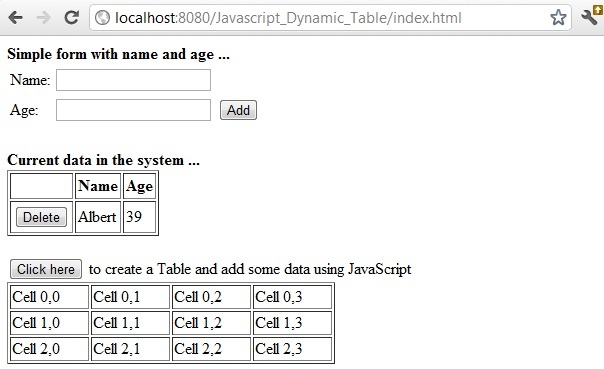 When the user clicks on the Add button we add a row to the Table element dynamically. You can also create a table right from scratch using createElement method.